Board meetings are held by various companies to discuss company policies and any other matters related to their functioning. The meetings could be discussions of annual values, special plans and presentations and any other subject considered important by the members of the board. Having an established and focused board meeting agenda helps the board maximize accuracy, efficiency, and productivity. Regardless of the reason why the board meeting is being held, a board meeting agenda needs to be prepared well before the date of the commencement of the meeting. 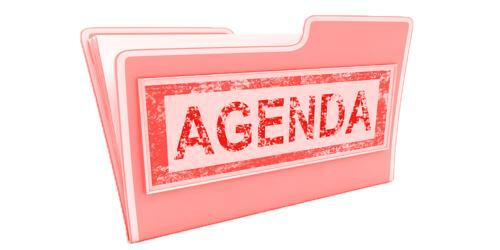 Board meeting agendas include items for managing a routine business and for tackling special projects. The agenda for the board meeting needs to be prepared well ahead of time to provide members of the board enough time for the preparation to discuss the subject of the meeting and provide information about any questions which may be raised, explain new policies being introduced by the company. The secretary should preplan the agenda by reviewing the past agenda and minutes and ask board members for items or issues to be included. The meeting could be arranged for making announcements of company achievements for the benefit of the board, the results of the company since the previous meeting and also to identify any shortcomings to introduce measures for the rectification which may be needed. This reminds board members to prepare reports or other documents that need to be brought before the board. Board meetings are also helpful for preparing reports for the future by providing guidelines which will prove beneficial for the company. Board meeting agendas are specifically created for the members who are responsible for the smooth functioning of the company and any other individuals the board may consider inviting to receive suggestions or advice about how the functioning of the company can or should be improved. It is extremely important to have an agenda which mentions the necessary facts and any details about the board meeting which is scheduled to be conducted. A qualified employee of the company may be assigned the task of preparing the board meeting agenda.